Louisiana is home to several invasive ant species, most notably red imported fire ants and Argentine ants. While fire ants pose a public health threat on account of their venomous stings, Argentine ants do not sting or bite humans; instead, Argentine ants are known for being nuisance pests within homes, buildings and a multitude of other locations. These ants have also proven to be a serious threat to the natural environment, as they displace native and ecologically beneficial ant species. Argentine ants were first discovered in Louisiana back in the late 1800s, and today, these ants can be found throughout the state and in several other states located in the lower half of the United States. As their name makes clear, Argentine ants originate from South America, and they continue to be transported into the US today, as they are often present within exotic plant materials brought into the US from South America by horticulture enthusiasts. Although Argentine ants do not bite or sting, they are capable of infesting homes, buildings, vehicles, boats and just about any other location imaginable. Argentine ants can infest a location rapidly and in massive numbers, making infestations difficult to eradicate. Preventing Argentine ant infestations is also notably difficult due to their unusually nomadic lifestyle. Argentine ant colonies are often substantial enough to span large areas of land requiring the cooperation of multiple districts in order to enact effective control strategies. For the past several years, researchers at Louisiana State University have been perfecting control strategies that are developed specifically to control the spread of Argentine ants into neighborhoods and environmentally vulnerable regions. These control efforts require the cooperation of all residents within a particular area, and sometimes residents of multiple towns or counties. 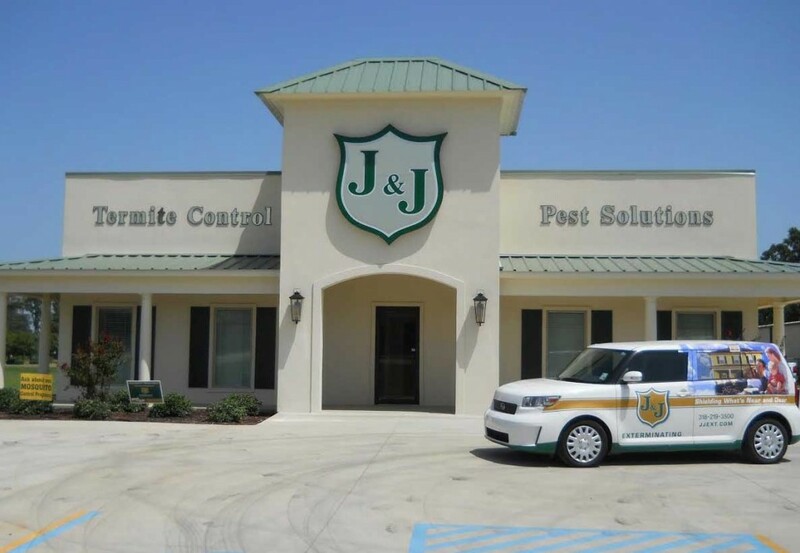 These control programs make use of insecticides and bait traps, and luckily, pest control professionals and researchers overseeing these programs in Louisiana have reported great success at curbing the spread of the invasive insects. Have you ever found numerous ants within your vehicle? After sustaining a serious wound, seeking medical attention is a necessity. As humans we can expect our wounds to be closed by stitching, and antibiotic treatments can prevent infections and accelerate the healing process. You would certainly not expect a doctor to frantically lick your wound repeatedly upon visiting a hospital. Not only would such a response be insane, but this absurd behavior would only transmit more germs to a wound. However, wounded ants seem to benefit from the saliva of their fellow colony members. Matabele ants are known for being one of the most aggressive and warlike of all ant species. These ants will raid other ant colonies as well as termite colonies. Matabele ants rarely lose the battles that they wage on their enemies. For decades researchers have known that Matabele ants are superior fighters, but the reasons for their edge on the battlefield has never been explained. Now researchers believe that injured Matabele ants often recover when they would otherwise die thanks to their comrades who lick them back to health. Researchers believe that these ants possess antimicrobial substances within their saliva that prevent infections and contribute to accelerated wound-healing. After Matabele ants raid nearby insect nests, many return home with severe wounds. Some ants are missing multiple limbs, while others sustain less serious, but still life-threatening wounds. Luckily, Matabele ants have something similar to medics. Matabele ants that are injured in war recover ninety percent of the time, but only if their wounds are licked by other ants. However, injured ants that are not treated with their comrades saliva only recover one out of five times. Scientists are not yet certain as to why this licking process heals wounds, but it has been theorized that ant saliva contains antimicrobial properties. Different wounds require different amounts of licking. Sometimes a wounded ant will need to be licked for a few minutes, but others require a full hour of non-stop licking in order to recover from their wounds. The saliva probably prevents ant wounds from becoming infected by different forms of bacteria. While on the battlefield, some ants sustain wounds that are too significant to be helped by licking. In these cases, the wounded ants will thrash their bodies about in an effort to fend off help from other ants that are prepared to lick them. These ants seem to know that their wounds are terminal, and therefore medical attention should not be wasted on them. Ants that are missing most of their limbs can be found indulging in this selfless behavior. Have you ever heard about insects demonstrating another type of seemingly altruistic behavior? There exists over 12,000 ant species that have been described by scientists, and there probably exists thousands more yet to be discovered. Although ants are extremely small, they are capable of some incredible feats. For example, when an ant colony stumbles upon a gap that cannot immediately be bridged, the insects can latch their bodies together in order to allow their fellow colony members to traverse the gap. Ants can also form floating rafts with their own bodies in order to protect the queen from water exposure during floods. In fact, individual ants can rescue their fallen comrades during battles with other insects, and they can even administer their own forms of first aid to injured soldier ants. Ants are probably most well known for their ability to carry twenty times their own body weight, making them the strongest insects that exist when considering their small size. However, one type of wood-boring ant has long puzzled entomologists due to the presence of silk glands on its body and its seemingly impossible ability to chew hardwood from trees. The wood-boring ant species known as Melissotarsus is native to Madagascar and parts of continental Africa. These ants are difficult to spot in the wild, which explains the lack of scientific literature available on these ants. Unlike other wood-boring ants, researchers have long known that Melissotarsus can bore straight through a tree’s hardwood. Other wood-boring ants can only excavate wood that has become soft from moisture and other factors. After watching close-up footage of these ants using their unique mouthparts for drilling into hardwood, researchers found that they possess not only silk glands but also dense muscle fibers within their head. These muscles give the Melissotarsus ants the strongest jaws of any ant species known to science. The legs of Melissotarsus ants have adapted to the pushing motion that it takes to bore into trees. This adaptation has resulted in oddly shaped legs that make it impossible for these ants to crawl across flat surfaces. Melissotarsus ants are unique among ants as they are the only species that has evolved solely for dwelling within the hardwood of trees. Did you known that wood-boring ants even existed?